Have you ever wanted to permanently save a solderless breadboard circuit? But you didn't want to rewire it onto a standard solder-in breadboard with different trace routing? Now you can! You can save that circuit by moving all wires and components to the exact same hole locations on our fully labelled 400 pts solder-in breadboard. This board exactly copies the routing of a 400 pts solderless breadboard. Allows direct transfer of circuits prototyped in a solderless breadboard to a solder-in breadboard to facilitate functional in-system testing or even field testing. 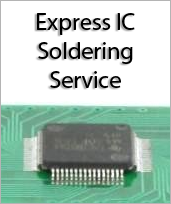 Soldered connections improve reliability and allow the circuit to be kept indefinitely without the chance of a wire being moved. 2 Distribution Strips. 1 Terminal Strip. 100 Distribution Holes. 300 Terminal Holes. Accepts a variety of wire sizes (20-32 AWG). All holes are gold plated and are on a 0.1" grid. 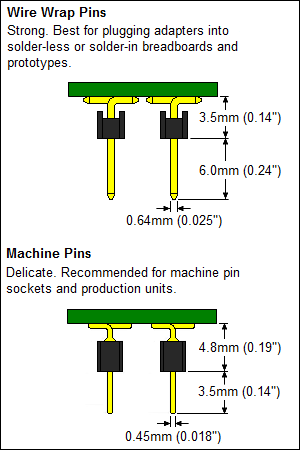 4 corner mounting holes have diameter of 3.2mm (125 mils). Two rectangular silkscreen areas that you can write on using pencil or pen to identify your circuit and keep track of revision information.